Hey peeps, just a quick reminder post about the blog giveaway I'm running until next Thursday, to celebrate my blogs first anniversary! 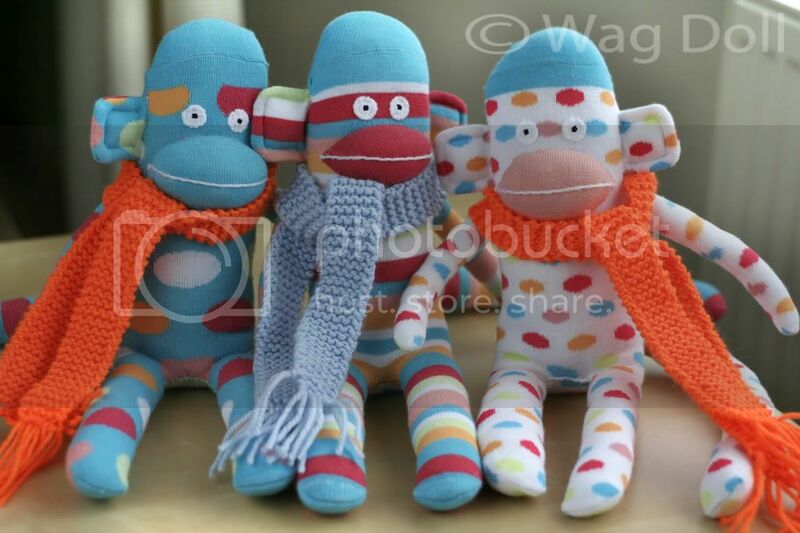 Don't forget to enter if you're in the UK and you could win an uber cute sock monkey, hand made with love by Wag Doll. There's also a Gymboss fitness timer up for grabs to help you with your workouts. My Gymboss timer is one of the best fitness purchases I've ever made, unlike most bits of useless fitness kit it won't end up covered in dust in the corner of your bedroom ...and it's much too small to hang your clothes from! Talking of sock monkeys, I made a couple of friends for Dotty, the giveaway prize. Here they all are together, just too much cuteness! Dotty is on the right, and he/she might be yours if you enter the giveaway! Circles on the left has been sent to a friend as a prize in a charity raffle, to raise money for UK German Shepherd Rescue. This wonderful charity re-homes unwanted and neglected German Shepherd dogs across the UK, and while dogs are waiting for suitable homes they're fostered by a team of lovely volunteers. 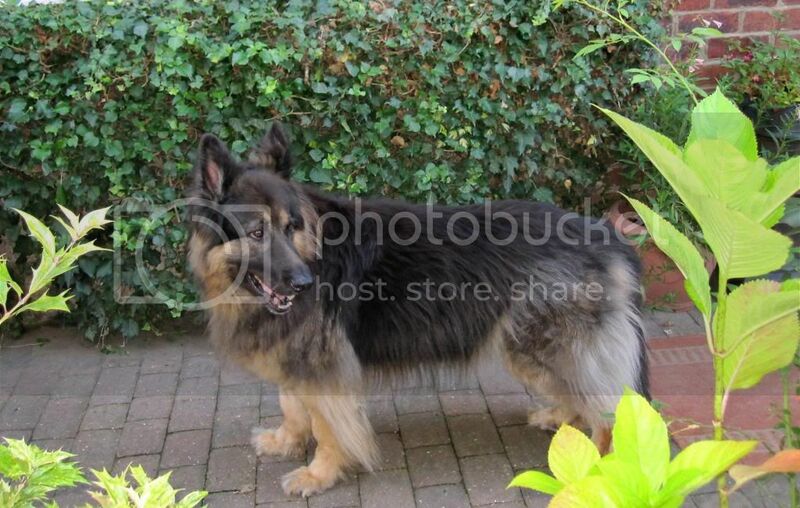 The charity has special meaning for me at the moment as my mum's beloved German Shepherd dog Rebel sadly passed away this month. We all miss him terribly and I can't believe he won't greet me at the gate any more. He brought so much love and laughter into our lives with his unique personality and quirky ways and was a much loved family member, sadly pets just don't live long enough. So in honour of Rebel I'm hoping Circles will raise some much needed cash to help UK-GSR, please visit their website and see the wonderful work they do. If you live in the Bexhill area of the UK then you can show support by visiting the Pets At Home store over the weekend of 15th/16th September, where the team will be giving advice on the breed, recruiting volunteers and raising funds...Circles is one of the prizes, go girl (or boy)! I'm planning on making more sock monkeys over the coming months, mainly because I can't stop buying funky socks..."Oooh these would make a great sock monkey!" so I might do a tutorial on how I make mine, let me know if you think that would be useful? Video: Girls Can Do Fight Training Too!